FULTON – Center for Instruction, Technology and Innovation students enrolled in the Stepping Stones Day Program at Fourth Street School in Fulton recently participated in Hoops for Heart, a fundraising challenge through the American Heart Association. 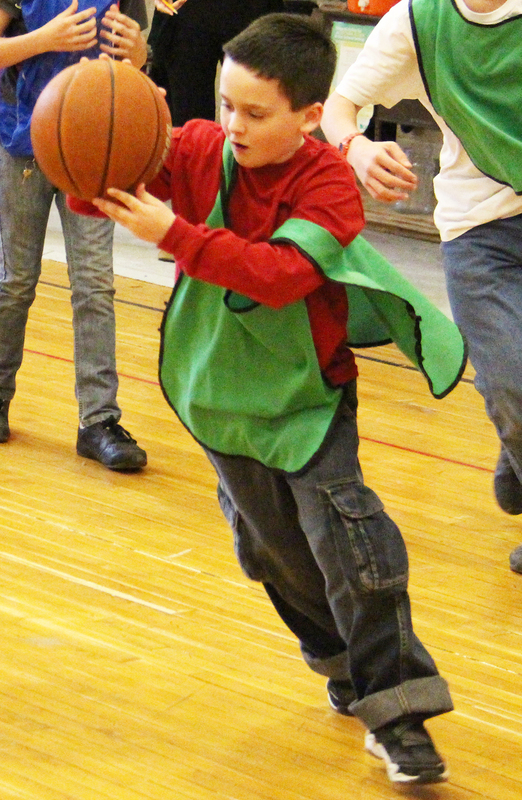 Students enrolled in the Stepping Stones Day Program at the CiTi recently participated in Hoops for Hearts, a fundraising activity with the goal to raise funds for heart disease. Student Nick Schneider dribbles a basketball during one of the drills. Hoops for Heart promotes physical activity and heart healthy living, as well as raises funds to help combat heart disease and stroke treatment and prevention. According to physical education teacher Kelly Schulz, the program not only allows students to have fun while shooting some hoops, but also shows students the value in a having, and keeping, a healthy heart. Prior to the Hoops for Heart event, students began a fundraising initiative by writing personalized letters to CiTi staff members requesting monetary donations to support the school’s participation in the Hoops for Hearts program. Some students also asked family and friends to sponsor them in the challenge. 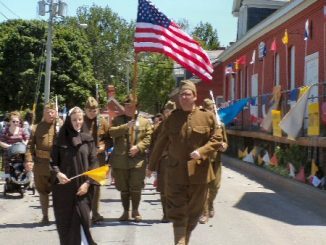 Schultz said she is extremely proud of the students, staff and donors that participated in the program and noted that the students raised more than $740 for the American Heart Association. 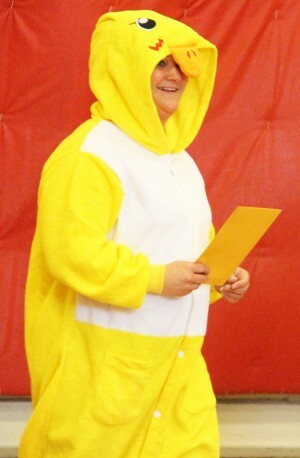 Due to the students’ hard work during the fundraising process, teaching assistant Kim Scheppard agreed to wear a duck suit during the Hoops for Heart event, much to the pleasure of the students.